Watercolor painting of red roan mare and foal mustangs on the range. Original available for sale on Etsy. 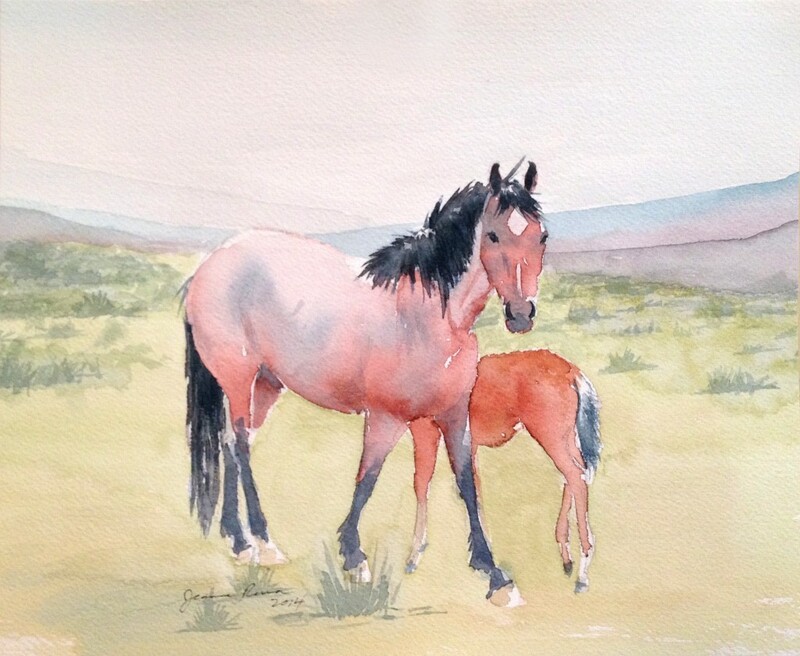 This entry was posted in Watercolor and tagged Blue, colt, filly, foal, green, mare, mustang, pink, purple, roan, watercolor, western. Bookmark the permalink.